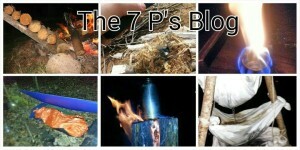 The 7 P’s Of Survival! Listen / Download archived shows for “The 7 P’s Of Survival” at bottom of this page! Karen Lynn “Lil Suburban Homestead sitting in for this show! This week Karen Lynn is filling in for Josh from 7 P’s Survival Radio show once again to interview Larry Roberts Primitive Skills expert and Outdoorsmen, Contestant on History’s Alone, and an Instructor at the Pathfinder School. Karen Lynn previously interviewed Larry for her Primitive Skills show on the Prepper Broadcasting Network. To take a listen click here. So here’s your chance you can stop in and ask Larry some of the questions maybe you never got answered about his experience on History’s Alone but then we are shifting gears and talking about Larry’s life after that experience and some of his new projects on the horizon including his upcoming classes, the Pathfinder School, and if we are lucky I would just love to talk about some of the projects he is up to at his homestead. If you haven’t gotten a chance to listen to Larry yet now is the time and you will be so glad you did. Have you ever wanted to try your hand at living in the remote wilderness ? Well Larry has and he can tell you the good, the bad, and the ugly…..
Have you wanted to make your own primitive tools but don’t know where to start? Larry has been at this craft for a long time and can quickly show you how with a few items from the land and supplies you can be on your way to being a primitive skills man or woman. Would you like to learn how to forage for edibles but don’t know where to begin? Larry can help you get started. Of course one hour won’t make you an expert on any of these topics but Larry can connect you to resources and information so that you can continue to learn. Join Larry and Karen Lynn for an evening of fun and informative conversation and hang out with them and visit in the chat room…you will be glad you did! About The 7 P’s Of Survival show! Join Josh of the 7 P’s Survival Blog in the studio every Tuesday night at 9pm Eastern Time. This is a live show where you can interact and engage with Josh and His guests (Josh often invites his friends from the preparedness community to dig into pertinent topics). You can interact via chat room or by calling into the show (we would love to hear from you!). Each week regardless of whether there is a guest for the show Josh will dig into current events and legal issues which relate to preparedness, update you on what is going on with his blog/survival school and review the happenings of various survival related television programming. Josh runs the 7p’s Survival Blog, JPS Consulting LLC (Oil & Gas Law, Business Strategy, Emergency Response, Etc. ), A Survival School (Coming fall of 2015) and is working on his first survival related book (he has published several books on incident command and legal issues for emergency response agencies). Josh has worked in emergency response since 1999 serving as a fire chief and a variety of other capacities throughout his career. Josh holds a Doctor of Juris Prudence degree from the West Virginia University College of Law along with a BSBAd’s in Marketing and Management from West Virginia University College of Business and Economics. He also holds hundreds of emergency response related certifications many at the national level. He has taught at a wide variety of emergency response conferences and for various state and federal agencies mostly in the area of incident management, technical rescue and hazardous materials mitigation. 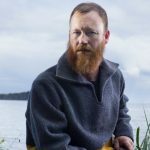 This show will explore a wide variety of topics including: legal issues in preparedness, wilderness skills (including a weekly skill challenge- A youtube video will be shared each week demonstrating a skill for listeners to review and post their responses), self reliant skills, gear reviews and interviews with manufactures, current events, Q & A with fellow bloggers and YouTuber’s, emergency response and disaster preparedness and recovery. So what are the 7 P’s? The 7 P’s concept is derived from the military and emergency response where the pneumonic stands for the following: Prior, Proper, Planning, Prevents, Piss, Poor, Performance. This old adage stuck with Josh since his early days in the fire service and resonated with him so much it became his approach to preparedness and wilderness survival right along with his emergency response career. 11/15/16 Trapping in the Wild! 9-/2/16 Outdoor Adventure & Essential Skills! 9/27/16 The City, EDC, and Preparedness! 8/2/16 Wilderness Search & Rescue! 6/14/16 The death of Geraldine Largay a case study! 3/22/2016 Self-defense and staying fed! 3/15/2016 Alternatives to Firearms the Other Weapons! 2/16/2016 First Aid and Self Aid! 12/22/2016 So you have a BOB, does it help you become self reliant? 11/24/2015 How to make a knife! 11/10/2015 SERE or Micro Kits! 10/13/2015 Goats, Axes & Fire! 10/6/2015 Civilian Emergency Response Team Training In A Nutshell! 9/15/2015 Spy Secrets That Can Save Your Life! 9/1/15 Natural Medicine with Herbal Prepper! 7/7/2015 The 7 P’s of Survival first live radio show! Saw the first show and was about as impressed as I was with the last seasons show. “Desomnd” lasted less than a day !!!! !,LESS THAN A DAY. Makes me ponder how in the hell they vetted any of these people. I am positive there are at least 4 or 5 actual survivors in the group. BUT as to the rest,WHY bother wasting time and energy to put them there in the first place ?.